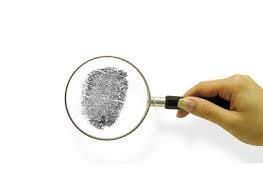 Tenant Screening Report has extensive experience in the background checks industry. Our 21 years of background investigation and pre-employment screening experience have allowed us to create the most robust and informative Tenant Screening product on the mark. Tenant Screening Report provides clients with a simple, elegant & user-friendly website. The new look makes obtaining information and placing an order easier than ever before. To date, the website has received great plaudits, as usability & functionality of the new website provides users a fresh look, easier ordering flow and added account features. The website now allows users to enter the payment order flow directly from home page. The user is presented with three excellent credit packages. When the package is selected, the user answers 4 questions and orders the report. The process of ordering the report is now less than 3 minutes. When the report is ordered, the prospective tenant receives an email from Tenant Screening Report and accepts the screening. The report is delivered to the landlord within thirty minutes. Tenant Screening Report has also launched a ticketing system, delivering fast and responsive support to clients 24/7. Tenant Screening Report has earned a reputation of truly listening to customers input. Why it is important to screen your tenants? There are no secrets to buying a house. When investing funds in hundreds of thousands, it is vital that your property is protected. For landlords who need security, Tenant Screening Report provides a superb background check service. Tenants are screened on credit checks, employment, medical, foreclosures, bankruptcies, past eviction and past history records. This provides landlords throughout the US complete peace of mind. Careful screening of prospective tenants reduces problems and improves the bottom line for landlords. Poorly screened tenants have a high rate of property damage, noise complaints, and late payment and fail to comply with landlord terms. Currently 72% of landlords screen their tenants (houselink). Almost two thirds of property managers check rental references. What is most important to landlords is criminal history and eviction records. How the housing landscape has changed? A decrease in ownership of properties in the US from 2009/2011 has led to increase demand on the rental market. A larger percentage of households are seeking to rent. The government report looks at four measures of the rental market conditions and their changes between 2009 & 2011 housing cost, rental vacancy rates, and renter share of total households. The facts presented make it abundantly clear to all landlords that screening tenants is becoming more than just a basic report, in the long run it will certainly save a landlord time, money and peace of mind. Protect your property with a report from Tenant Screening Report. Zero Chaos also own and plan to roll out specific websites in the credit industry. The new platform was develop by the background check eCommerce leaders IEG Group. Tenant Screening report will launch many new features for 2014, to include the following: two new products, ability for landlords to order a report allowing the tenant can pay for the service. The company will also reward its clients who have over 20 properties with a new method of ordering reports in bulk.